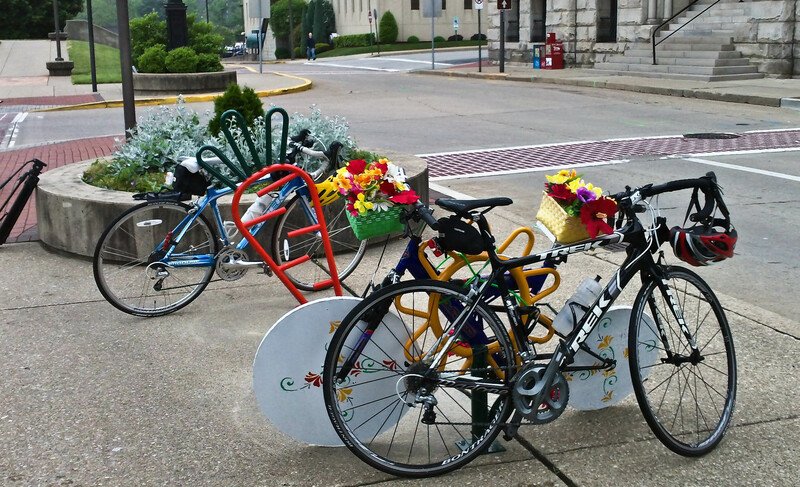 Downtown Parkersburg is dotted with creative bike racks. Strategically-placed bike racks, like this one at a Parkersburg coffeeshop, can increase traffic and business. “I would ride my bike to work if there was a safe place to lock it up.” That’s what person after person told the Association of Pedestrian and Bicycle Professionals when they were writing their Biking Parking Guidelines. Forty percent told the association they would ride their bikes around town if they had a safe place to park them. With high gas prices, people say they want bike racks at places where they often go: work, grocery store, library, post office, downtown. 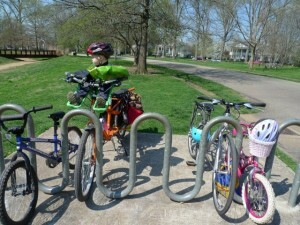 Want more bike parking in your community? Huntington’s Ritter Park is often full of bike riders. 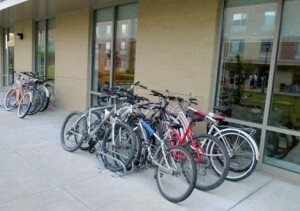 One attraction: bike racks! 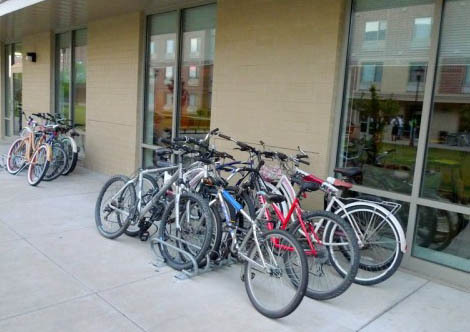 Hold a Creative Bike Rack Contest. Parkersburg and Charleston did! Bike racks as public art! 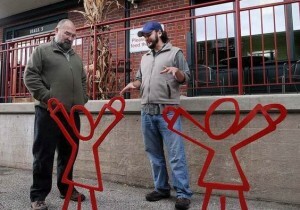 Parkersburg put the winners in a public art exhibit at the local gallery. 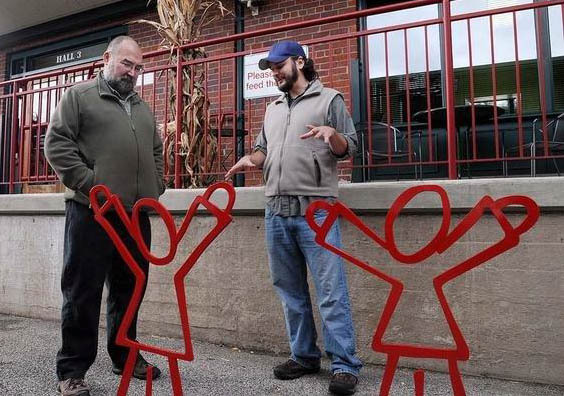 Why not ask local artists to design bike racks? United Bank in Parkersburg made a rack in the shape its logo! Go to the Index square to find other pages of ideas that will help you get a bicycling program going in your community. Have something to add ? Write it in “reply” below, with your contact info, in case we have questions. http://www.bicyclingnfo.org/engineering/parking.cfm Link did not work. Who should I contact for a 6th grade project on helping the community, and I chose to do it on how few bike racks there are. So who should I contact for questions?